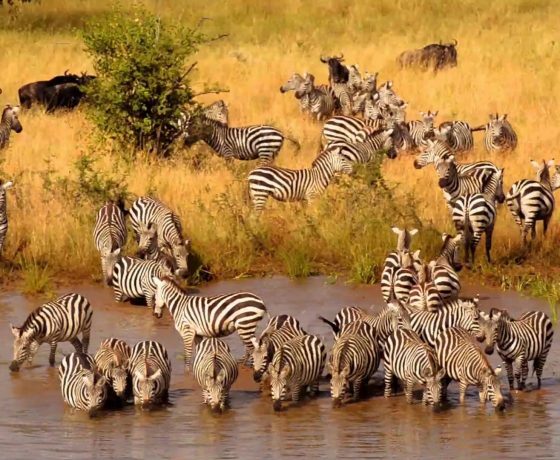 This safari will take you to the less known conservation areas found in the south of Tanzania, you will explore the national parks which include; Mikumi Ruaha and Udzungwa Mountains National Park also referred to as the ‘galapagos of Africa’, plus the Selous Game Reserve one of the largest game reserves in Africa with a safari vehicle on foot and a boat. You will also get time to meet the local people and also experience African culture. The safari will combine both road and flying in safari due to the long distances giving you the opportunity to explore more while limiting on the time of travel. Early in the morning, your guide will meet you at the hotel in Dar es Salaam and after you will set off. You will drive 5 hours on good tar roads and reach Mikumi National Park. You will get to experience your first game drive as you drive to Stanley’s Kopje for a night. 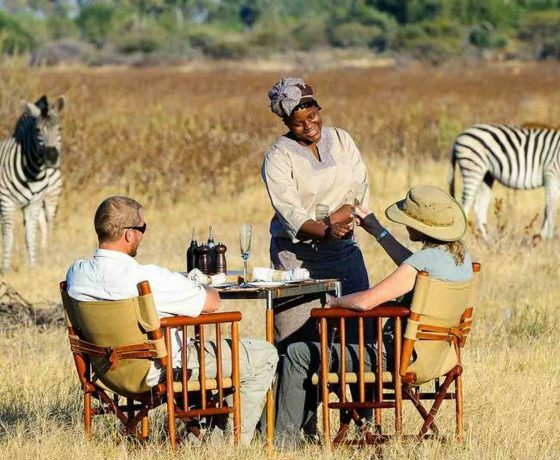 Check in at the camp and after enjoy an afternoon game drive in the park. The park is also filled with grassy plains that are dotted with the clumps of acacia and baobabs. You will get a chance to view some elephants, baboons, zebras, buffaloes as well as wildebeests. 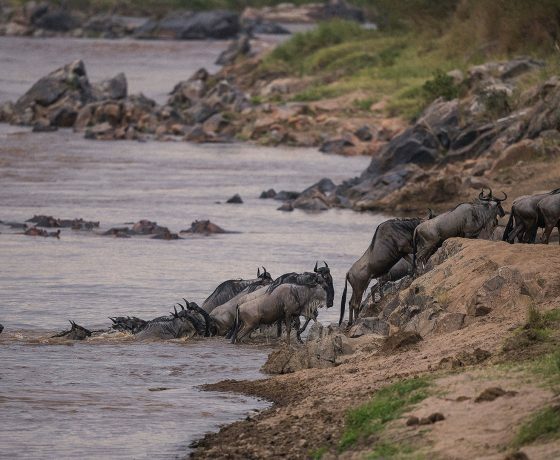 You will spend the whole day gave watching with in Mikumi National Park. The national park is intersected by the Tarmac High way as it divides the park into two sections. The north western part of the park is flat with the grassy plains while the southern part is more bushy and undulating. 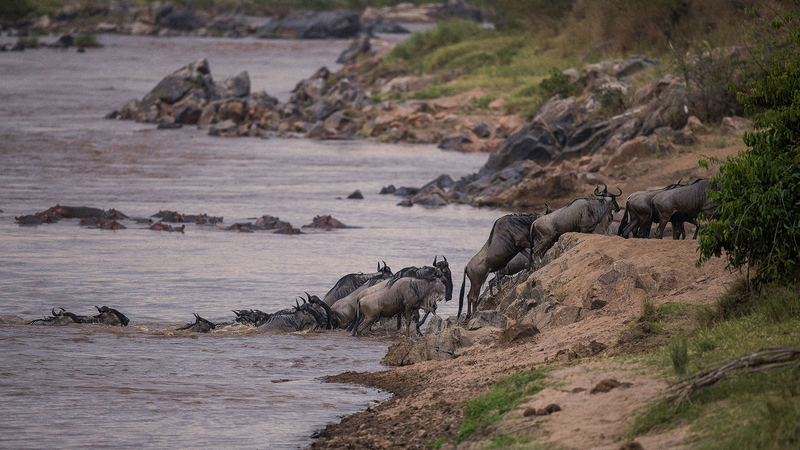 You might see the sable antelopes, kudus, over 400 bird species. After the full day game drive, you will return to the stanley’s Kopje in the evening where you will relax at the bar while overlooking the plains below. 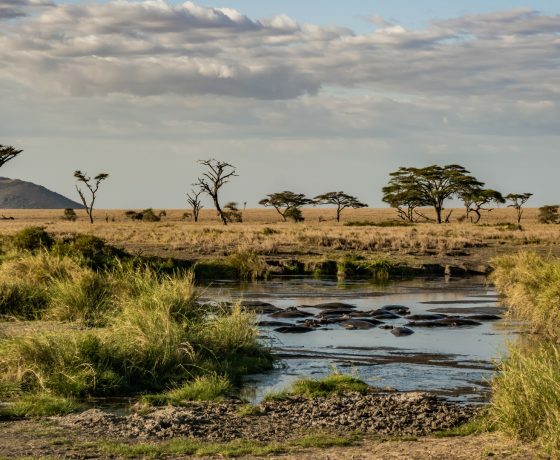 Apart from game drives on this day you have the option to do a walking safari guided by an armed ranger in the Mikumi National Park because this one of the parks that allow walking safaris in Tanzania. Today you will go hiking in the Udzungwa Mountains National Park, which is one of the world Biodiversity Hotspots. We shall leave after breakfast and meet with the guide at the national park entrance gate. This park can only be explored on foot and you will start your hike from the gate through the rainforest. 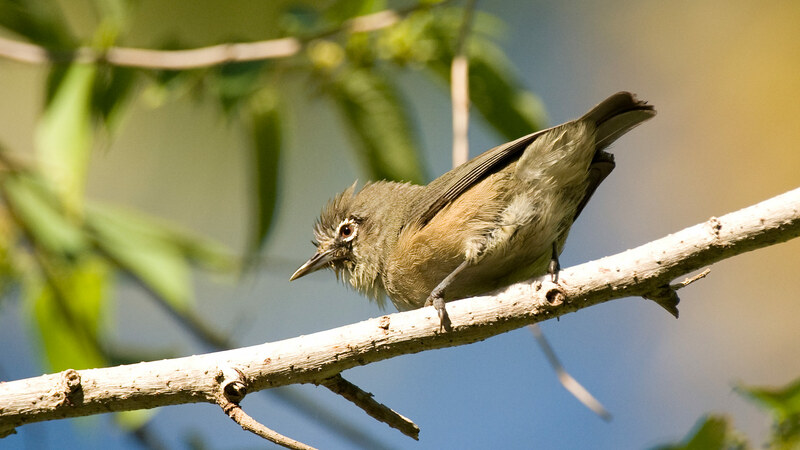 These lush green mountains are home to 3om high trees, 400 bird species, reptiles, butterflies as well as other animals. There are also 12 species of primates like the Udzungwa red colobus or the sanje Mangabey which is the most endangered primate in Africa. The safari highlight of the walk is the 50m high sanje waterfall where you can possibly swim. Later in the evening, you will return to Stanley’s Kopje or Vuma Hills Tented Camp. You will start the day so early for the drive to Ruaha National Park, in case you wish, your guide will stop in Iringa for you to adventure the market and the local shops. 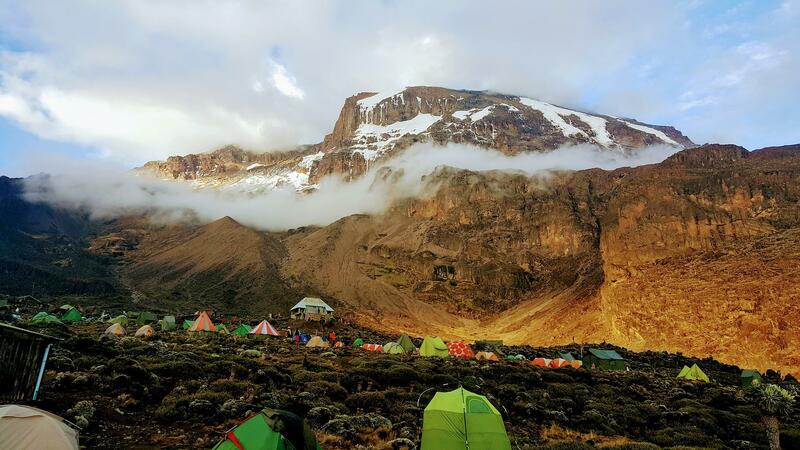 After, continue through the small villages before you arrive at the camp. 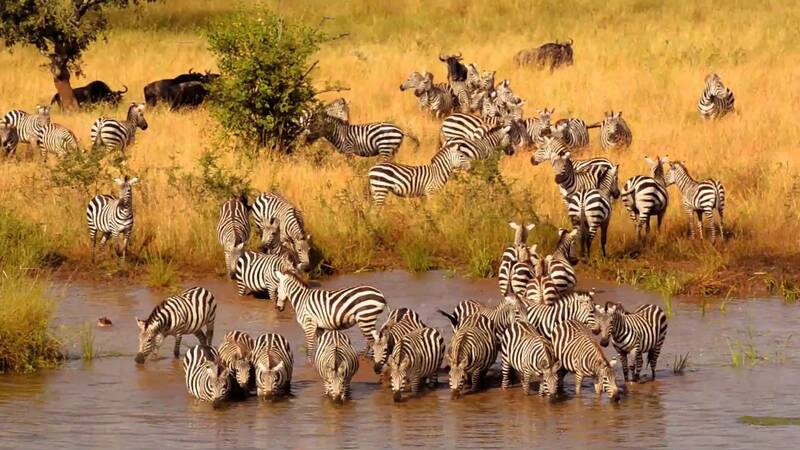 After checking in, you will proceed for a game drive in Ruaha National Park. This park is famous for its rugged beauty, 570 bird species, elephants, kudus, buffalos, lions, leopards, rare wild dogs, cheetahs, sable antelopes, giraffes, zebras, warthogs as well as huge roan antelope. Dinner and overnight at Tandala Tented Camp. 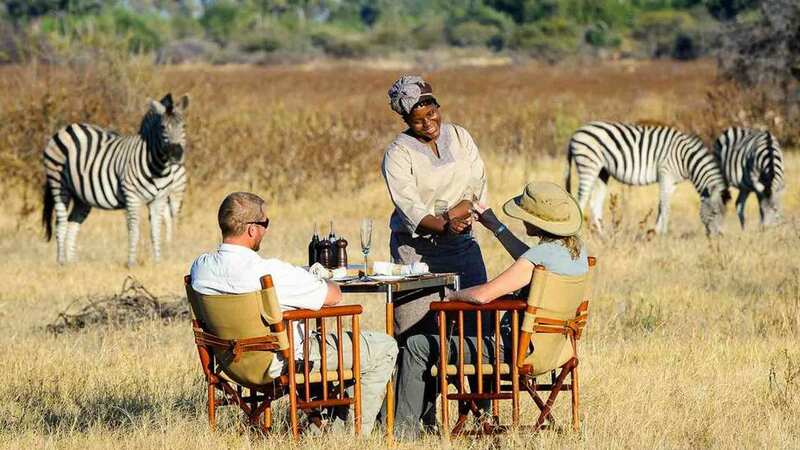 Enjoy a hearty breakfast and after your guide will take you on the last game drive in the park. Later morning, you will be dropped off at the Ruaha airstrip inside the park and you will then fly to Selous Game reserve which is a UNESCO World Heritage site. After landing at the small air strip, you will be picked up by a driver of Rufiji river camp, who will then take you to the camp. 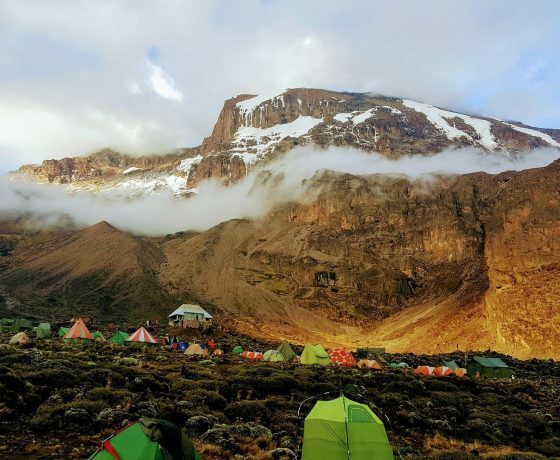 Enjoy lunch which will be served at the camp and in the afternoon, you will join a scheduled safari activity and then return to the camp in time for dinner. Early in the morning after breakfast your guide will transfer you to the nearest airstrip in Ruaha where you will be taking a domestic flight to the Selous Game Reserve in the Southernmost part of the Southern Tanzania Tanzania Safari circuit where you will be scheduled to spend the next 3 days and 2 nights. On arrival at Selous Game Reserve you will be met by the Camp’s resident guide who will transfer you to the camp for briefing with the Manager. The Camp Manager will brief you on your shared activities that you will be participating for the next 3 days in the Selous Game Reserve. After a sumptuous lunch at the camp you will be taken for the boat Safari along the Rufiji River a rare safari activity that you can not enjoy anywhere else in Tanzania except Selous Game Reserve. Selous Game Reserve is rugged and remote from the crowds. It’s the largest wildlife conservation area in Africa and also with the neighbouring Mikumi and Udzungwa National Park that forms area as big as Switzerland. 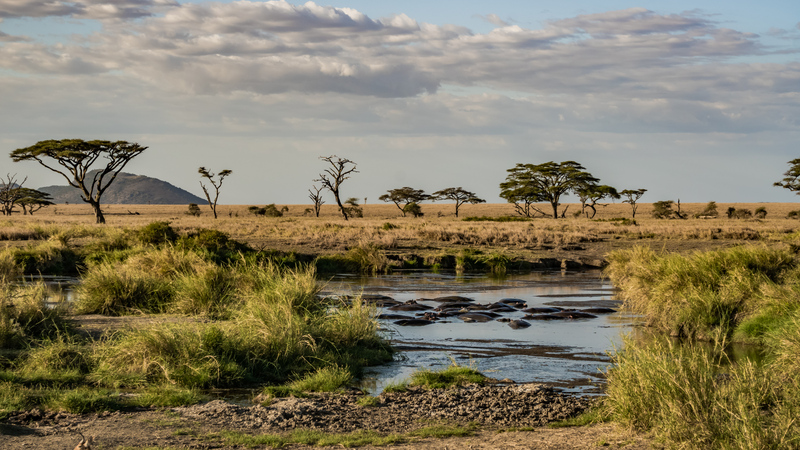 The variety of habitants here include; the miombo woodlands, grasslands, swamps and the forests, these are home to many animals including; the giraffes, cheetahs, hippos, black Rhinos, and the crocodiles. 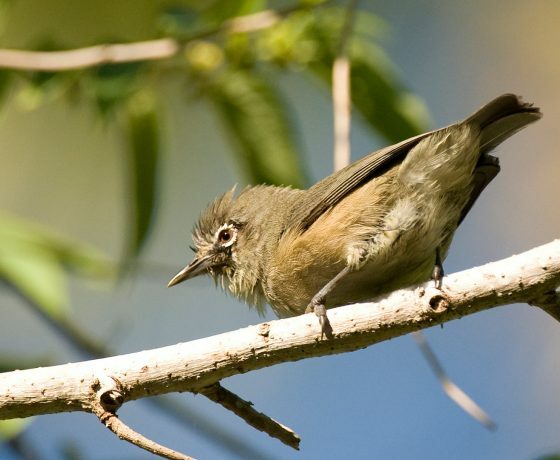 These swamps as well as the lagoons along the Rufiji River attract animals for bathing and drinking and these are perfect spots for avid bird watchers since there are more than 350 bird species in the reserve. You will also get chance to explore the unspoilt wilderness by safari vehicle, on foot and on boat. Have breakfast and after the guide will drop you off at the air strip for your flight to Dar es Salaam or transfer by road via Kibiti back to Dar es Salaam. At the end of this safari you we can easily combine this safari in Southern Tanzania with a beach vacation extension in the Spice Islands of Zanzibar. Please get in touch with us for such a customized package any time! Domestic flight from Selous Game Reserve to Dar es Salaam or Zanzibar (can be added) to your 8 days Safari in Southern Tanzania.